‘Ruby on Rails’ (ROR) is one of the most popular and productive open source framework that allows you to develop web applications very quickly with a lot of fun. Ruby is a scripting language (like PHP) that focuses on ease of development and beautiful code. 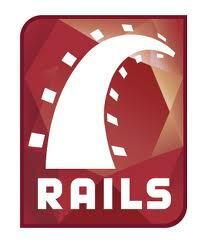 Ruby on Rails or simply ‘Rails’ is a web Apps development framework for Ruby programming language. Rails is a cross-platform – web Apps development framework and this post will guide you in installing ‘Ruby on Rails’ framework on Ubuntu 11.04 (Natty Narwhal) or 10.10 (Maverick Meerkat) or 10.04 (Lucid Lynx) LTS..procedure is same for all versions. gedit text editor is enough for ruby programming – (usually better than heavy weight IDE’s), you can also customize gedit to look like TextMate (very popular (text editor) among ruby developers who uses Mac OS X). Ruby version 1.8.7 is installed by default, in most of the Linux based operating system or distributions such as Ubuntu, so what you need to install is – ‘Rails’ , Gems (Gems are modular components or libraries very similar to Package in java), git (git is one of the best – free and open source version control system (developed by Linus Torwalds), it is not strictly necessary but recommended) and curl. Before you move on for installing ROR, Apache (Not necessary because ROR ships with WEBrick, the default HTTP server for rails apps) and MySQL or SQLite should be installed. #1 : Install git (not necessary but recommended), the version control system. #2 : Install Curl (Command Tool for transferring data with URL Syntax). #3 : Install Ruby Version Manager (RVM), a command line tool which allows you to run multiple versions of ruby – such as 1.8.7 as well as 1.9.2. Gem will be installed along with this, if not, then install rubygems before proceeding to next step. #6 : Install SQLite3 (Not necessary if you want to use MySQL but ROR uses SQLite database by default, so you need to install ruby and sqlite related packages and ORM libraries). That’s All..now you are ready to rock with ‘Ruby on Rails’. Create new Application using simple command and start the server. Check out this interactive video course on Ruby on Rails at Treehouse. Update! Checkout my rails application: Railyo – job board for rails Freelancers! Ubuntu does not have ruby installed on it by default. Hasn’t been on 10.10 and isn’t still there on 11.04. Really a nice collection regarding to Ubuntu. Keep up such good work. can you specify the folder to use ? I appreciated that your article was the most useful instruction to set up my Ubutnu 11.04 64bit Desktop edition. Only one issue is I have to type the command “rvm use 1.9.2” after rebooting. Is there any way to use 1.9.2 permanently rather than put it in startup file? @a3706f261897c26cf2e024b91548cb10:disqus had the same problem. Solution is to check rvm dependencies for ruby. Great blog for share some essential information and give the good suggestion.